This page is for the original 2003 PC release. For the remaster, see Halo: The Master Chief Collection. Patch 1.10 fixes issues with modern hardware and replaces the GameSpy master server. Animations, effects, and cutscenes are capped at 30 FPS. See High frame rate. Fan-made forum thread about enhancing many aspects of Halo CE and Halo PC. Newly Updated. SafeDisc v2 DRM. Install the latest patch to play without the CD. The official demo for the game can be found here. Patch 1.10 updates the Windows version. Includes all previous patches. Patch notes may be found here. The Mavericks/Lobby patches for the OS X version switches to the new Patch 1.10 lobby servers and optionally fixes compatibility with OS X Mavericks (10.9). Still requires the latest official patch to function properly. Halo Custom Edition allows players to play multiplayer Halo games on user-created maps. Chimera is a mod for Halo Custom Edition which contributes a wide variety of essential features to enhance or fix Halo. Official documentation for build -572 on Google Drive. Discord server with alpha build downloads. The Refined project is an attempt to smooth all those wrinkles and provide a port that even die-hard Halo purists will be happy with. Everything that was possible to fix has been addressed. Things that were once considered impossible to restore have been restored using clever workarounds. 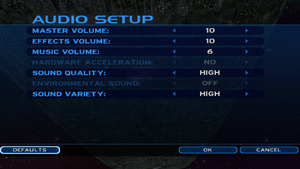 Many high-fidelity textures and a high resolution HUD have replaced the original compressed versions. 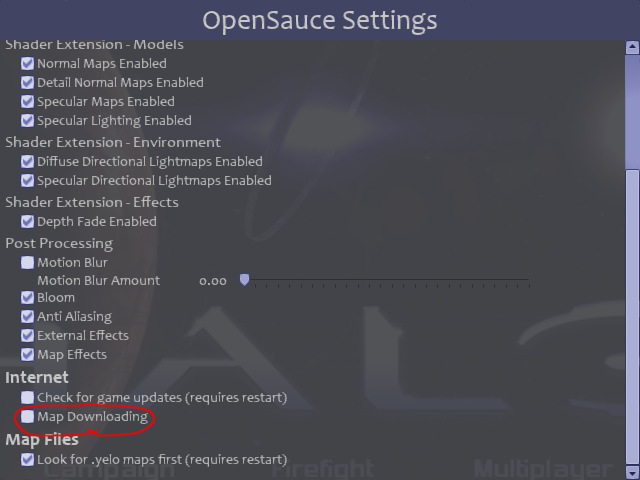 Open Sauce is a mod for Halo Custom Edition that fixes multiple issues and adds several features for modders. Halo Anticheat 2 (or HAC2) is a mod that fixes multiple issues and adds several features. 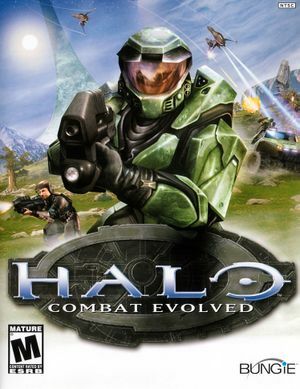 Supports all versions of Halo: Combat Evolved and Custom Edition. 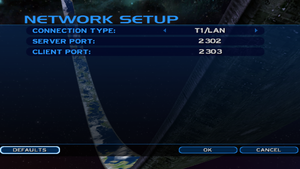 HaloMD is a mod (perhaps even the only one) for the Mac release of Halo that addresses compatibility issues with later operating systems and adds support for hosting and playing on custom maps (Custom Edition was not released for the Mac). SPV3 is a revamp of the original campaign, featuring new weapons, enemies, vehicles, abilities, features and levels. Project Lumoria is a brand new campaign story for Halo CE; stays true to the classic Halo CE feel. Use dgVoodoo WiP build to force MSAA (buggy), or use injectSMAA. Some elements run at 30 FPS. See High frame rate. Install 1.10 to add support for resolutions up to 4800x3600. For custom resolutions, see Command line parameters. Install Chimera (latest alpha build). Start the game and press ~ to open the in-game console. Type in chimera_safe_zones true - Emulate Xbox safe zones. Type in chimera_vertical_fov 1 - Locks to a specific vertical FOV. 1 defaults to 55.41 degrees or Halo’s standard FOV. Type in chimera_block_letterbox true - Disables the letterbox effect in cutscenes. Press ~ again to close the console. Start the game with the -vidmode w,h,r command line argument. This forces the game to run at the width(w), height(h), and refresh(r) specified. Example: -vidmode 1920,1080,144. Alternatively you can create a batch file. Edit the file by right clicking and selecting edit. Start the game by running RunCustom.bat. 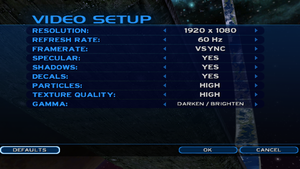 By default, Halo compresses its vertical FOV rather than stretching its horizontal FOV in widescreen resolutions. Type in chimera_vfov followed by a value (e.g. chimera_vfov 60). 1 defaults to 55.41 degrees or Halo’s standard FOV. Start the game and press F7 while playing. Adjust the FOV slider to your liking (5° increments only). Start the game and press F6 while playing. Move the mouse to adjust the FOV and press F6 to set it. Press ⇧ Shift+F6 to reset. Alternatively, type in fov <value> in the console to use a specific value. Extract haloThirdFov.exe from halothirdfov.zip and copy it to <path-to-game>. Make sure the game executable file is named haloce.exe. If it isn't rename it accordingly. Run haloThirdFov.exe and then run haloce.exe while haloThirdFov.exe is kept open. Use * and / on numpad to switch fov between original and manual. use + and - on numpad to adjust fov. You can also change the default keys and set FOV manually on haloThirdFov.exe. Recommended FOV is 86 degrees for 16:9 aspect ratio, and 80 degrees for 16:10. Set the path to <path-to-game>\halo.exe or <path-to-game>\haloce.exe. Type in the window size and position or enable Desktop for borderless fullscreen windowed. 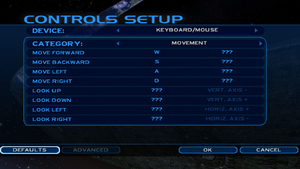 Click on the Input tab and enable Unacquire input devices on focus lost. Type in chimera_af true to enable anisotropic filtering. Right click on desktop and select "NVIDIA Control Panel". Go to the "Manage 3D" tab, Click "Program Settings" and finally click "Add", then select the game's executable file. From the features list, find Anisotropic filtering and on the settings choose 16x. Animations, effects, and cutscenes are not interpolated, and therefore appear choppy at frame rates above 30 FPS. Enabling interpolation makes objects' movements appear much smoother. Type in chimera_uncap_cinematic true to disable the 30 FPS cap in cutscenes. Type in chimera_interpolate followed by your desired level: off/low/medium/high/ultra. Type in chimera_throttle_fps if you want to cap the frame rate (e.g. chimera_throttle_fps 240). The highest version of Pixel Shader Halo supports is 2.1. Use this to force the game to use it if your graphic card isn't recognized by the game. Start the game with the -use21 command line argument. 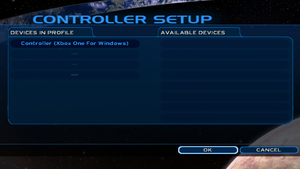 Menus can not be navigated with a controller with out third-party tools. You cannot bind two actions to a single button with out third-party tools. Set in Controls Setup → Advanced while the gamepad is selected as a device. Type in chimera_block_mouse_acceleration true to disable mouse acceleration. 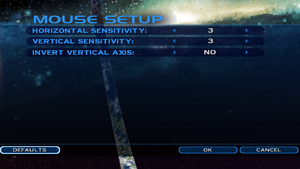 Type in chimera_mouse_sensitivity <horizontal> <vertical> to set the horizontal and vertical mouse sensitivities. Values less than 1 do not work properly if mouse acceleration is enabled. Needs a fix for modern systems; see DirectSound 3D restoration software. Download hac.dll and copy it to Halo CE's installation folder. Start the game with the -no_os_gamestate command line argument. To avoid irregularities, untick map downloading in Open Sauce. Open the Windows Features menu. Just extracts the game files and requires no dependencies. Refresh rates up to 120 Hz are available; 144 Hz and above require a fix. Open <path-to-game>\d3d9.ini or %USERPROFILE%\Documents\My Mods\SpecialK\Profiles\haloce.exe\SpecialK.ini depending on the installation method you used. Change ConfineCursor=False to ConfineCursor=True under [Window.System]. ASUS sound cards cut out short-duration audio streams for power management, as a result the assault rifle will become silent when holding the fire button. Go to the Device Manager and expand the Sound, video and game controllers section. Right-click on the primary playback device (Example: ASUS Essence STX II) and click Proporties. Go to the Details tab and change the Property listbox to show the Hardware IDs. Write down the Vendor ID (Example: VEN_13F6) and the Device ID (Example: DEV_8788). Press Ctrl+F and type 0x plus the Vendor ID (Example: 0x13F6) and click Find Next to see if the Vendor ID is already listed in the config. 0xDEVID = "Sound Card Name" // EXAMPLE: 0x8788 = "ASUS Essence STX II"
AudioVendor = 0xVENDOR_ID "Vendor Name" // EXAMPLE: AudioVendor = 0x13F6 "C-Media"
0xDEVICE_ID = "Sound Card Name" // EXAMPLE: 0x8788 = "ASUS Essence STX II"
i.e. The flyby for the Halo ring in the main menu background is not following the correct path. Bink Video only for credits, post-credit sequence, and intro videos. Download Universal UI and Moses's Refined Campaign. Extract all .map files to <path-to-game>\maps\. Make sure that the original ui.map is kept outside of the maps folder. You can also run any level manually by starting the game with the -console command line argument and using the console command map_name <name> (for example map_name a30 to run the Halo level). The Silent Cartographer: Evolved is a ground-up re-imagining of the Halo: Combat Evolved map of the same name. This page was last edited on 24 April 2019, at 03:03.